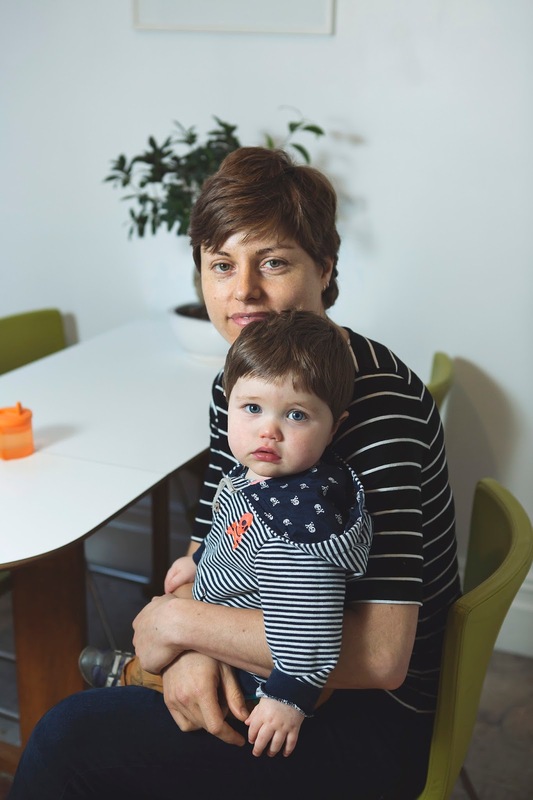 Expectations of Motherhood: We were on the cusp of starting IVF treatment when I found out I was pregnant, so I’d had a lot of time to over-think the whole motherhood thing – and this went on throughout my pregnancy. I’ve never been that good with little kids and even when I was pregnant I had little more than a passing interest in other people’s children. 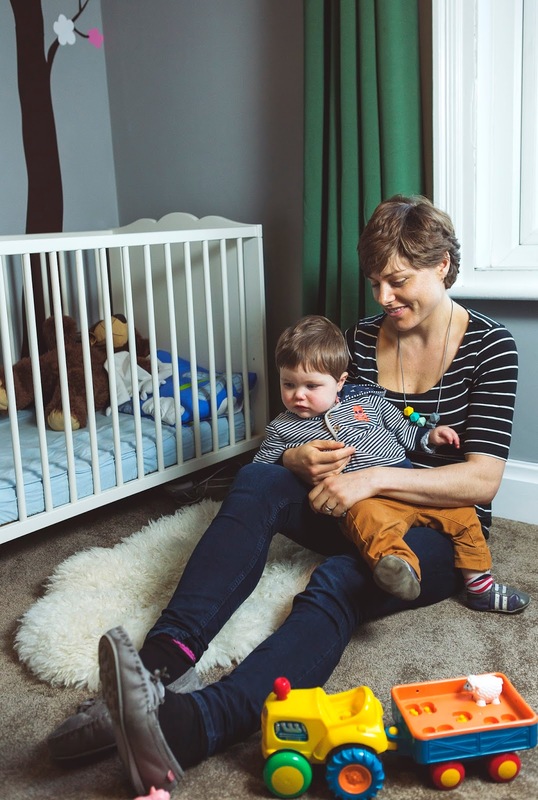 While I really wanted to be a mother and to experience that changing relationship as my child grew older, I have never really felt broody about babies per se – something that I think lots of other women feel. Consequently I didn’t expect the early months to be hugely my thing – I thought I’d possibly come into my own and really get into being a mum way down the line. Reality of Motherhood: Well, Lukas is still only 12 months old so I’ve not been doing it that long. But I’d be the first to admit that my expectations up to this point have been totally wrong. I’ve loved every stage so far and numerous times I’ve actually caught myself feeling nostalgic for the younger baby he was as new skills come in and he gets closer to toddlerhood. I didn’t really spend any consistent time with babies when I was younger so the rate of change and how fascinating it actually is to watch (for parents at least!) caught me by surprise. To be fair he has been a very laid-back baby and we haven’t had to deal with colic, reflux or any serious illness, so we’ve been very fortunate in that respect. But I’ve found it far easier stay relaxed about it all than I expected – I genuinely have enjoyed pretty much every minute, which is something which makes me cringe a little as I write it because it sounds like such a cliché. I’ve found that even when we’re going through a difficult stage – when his sleep went even more haywire than normal, say, or when teeth were coming through – reminding myself how this is all transient and how quickly time is passing has helped me get through with no tears shed and my sanity intact. 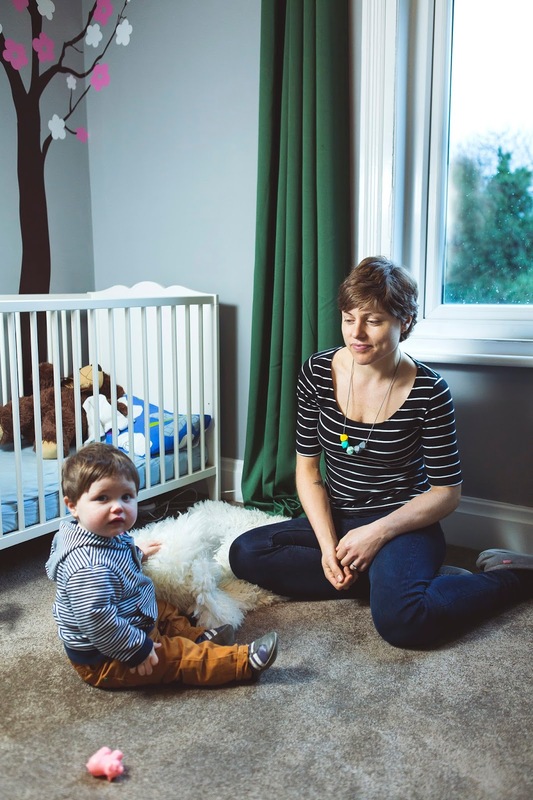 Taking your child home for the first time: I had been weirdly anxious about this for months – I felt totally relaxed about the idea of actually giving birth but was quite intimidated by the enormity of the responsibility which we’d face from that point. My recollection of actually leaving the hospital that night with this teeny tiny baby in his huge car seat is fairly sketchy – it’s only really because I documented the whole thing in photos that I can picture it at all – but I do remember the overwhelming feeling of “now what?” once we got home. I briefly put him down in his Moses basket in our room with the lights off but I felt so conscious of keeping my husband awake that I ended up moving onto the sofa bed next door for the next seven weeks! It sounds ridiculous to say it now as I was the one who had just given birth. But I felt so lacking in confidence about breastfeeding and struggled so much to put the baby down without him kicking off that it somehow felt easier to be on our own in the spare room at night – I saw no point in wrecking all of our sleep, particularly as Andy went back to work after just a week. There was no thunderbolt feeling of falling head over heels in love for me – more of a fascination with this tiny perfect being that we had somehow created and a contentment that grew into that deep feeling of love over time. The best/worst advice: The best advice was probably to ignore the opinions that everybody inevitably seems to have about anything that you do as a new mother. Although most of this is given with the best of intentions, it’s such an emotional time that it’s easy to end up feeling undermined. I eventually learned to let people’s comments wash over me and follow my own gut instincts. But there was a point where a parent or relative’s comments about how much I held my baby (too much apparently) or which breastfeeding position I used, or how their baby was sleeping through by this stage left me feeling quite demoralised. It takes confidence to ignore this kind of thing and not let it get to you, and that takes time to develop. 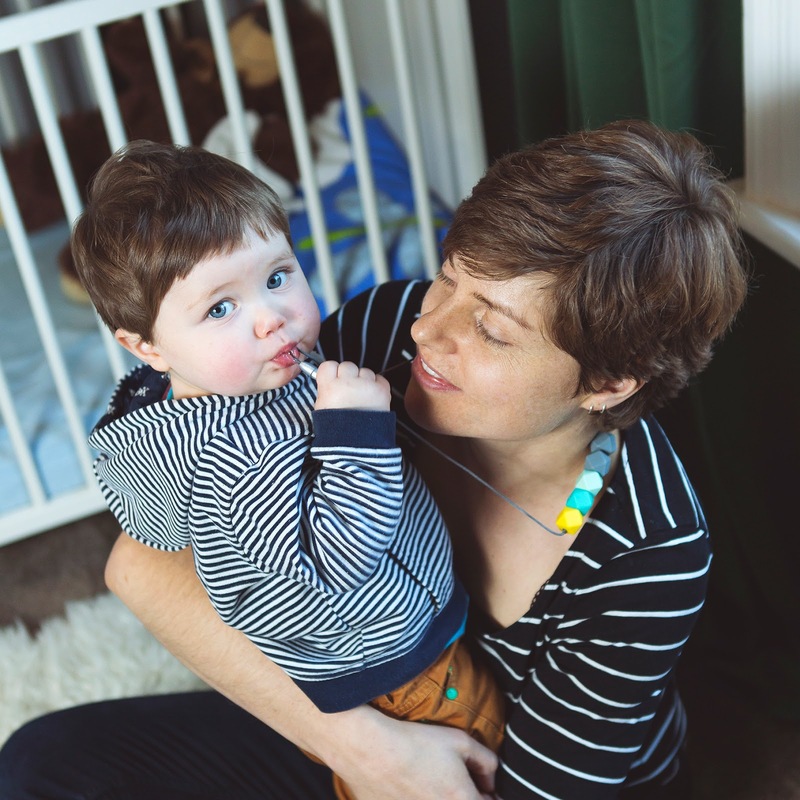 The hardest parts of being a mother: On an immediate level for me it has been the sleep deprivation – which has only just started turned a corner for us over the past few weeks. But the other thing I’m finding challenging is striking a balance between work and family life. Perhaps this is a self-indulgent concern but until 35 my energies were almost entirely focused on my career (I’m a journalist). I’m currently a full-time carer, trying to fit little bits of paying freelance work into naps (more erratic than I would like) and evenings. I’ve realised that up to the point when I had a child my sense of self and self-esteem were almost entirely wrapped up in my professional identity – something which admittedly probably wasn’t healthy. The work that I most love doing is not cost effective, however, and consequently has fallen by the wayside for the time being at least. I’m now grappling with the question of what if anything is left when my career is stripped away – for the time being at least – by motherhood. I’m not really sure of the answer. The best parts of being a mother: I definitely laugh a lot more than I used to. He’s such a joy to be around at the moment. I have a tendency to be a bit cynical sometimes and it’s more difficult to be like that with a silly 12-month-old baby around. He is teaching me to take pleasure from the simpler things in life. I also love the fact that having a child has also rooted me far more deeply in the area in which I live. Despite living in Levenshulme for 12 years, I’ve made more local friends in the past year – mainly through baby groups – than I ever had before, and this has made me feel genuinely part of a community for the first time in my life. And cynical little me was dreading the whole baby group thing before I had him. Has becoming a mother changed you? Not hugely. I like to think I’m still the same person with the same passions and interests. It’s just that I have a lot less time to do the things I used to do, which can admittedly be frustrating. I managed to keep up my running throughout my pregnancy and that’s something I’ve continued since I had Lukas – I only get out once or twice a week now but have managed not to miss a week. Hopes for your family: That Lukas grows up happy and healthy and retains his sunny disposition. That he grows up with a close and loving network of friends and family. When I think about Lukas growing up in this friendly, diverse and creative neighbourhood it makes me really happy. What advice would you offer to new and expectant mums: Just go with the flow and try not to worry about things that haven’t happened yet. When people offer you advice just smile politely and then follow your own instincts. Things will work out. The other advice I’d give is to seek help if you are having problems with breastfeeding – support is out there via midwives and drop in advice clinics so don’t be afraid to use it. There are days when we wonder, what were we thinking? As if the first year of parenthood isn’t challenging enough, we bought a house that needs a huge amount of work – everything, basically, from central heating to rewire to new floorboards and plastering – and moved twice in six weeks (into rented and then into our new home). 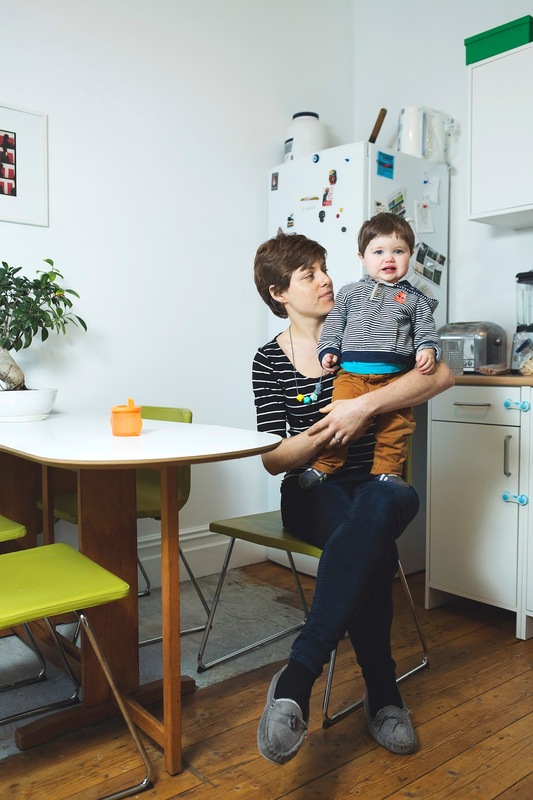 The process of buying was drawn out and stressful – around the time I was due to be induced, our first purchase fell through due to our survey discovering subsidence. We then had a second vendor suddenly pull out on us after surveys the following month, followed by a frantic viewings and several other bids that came to nothing (we didn’t want to lose our buyer). 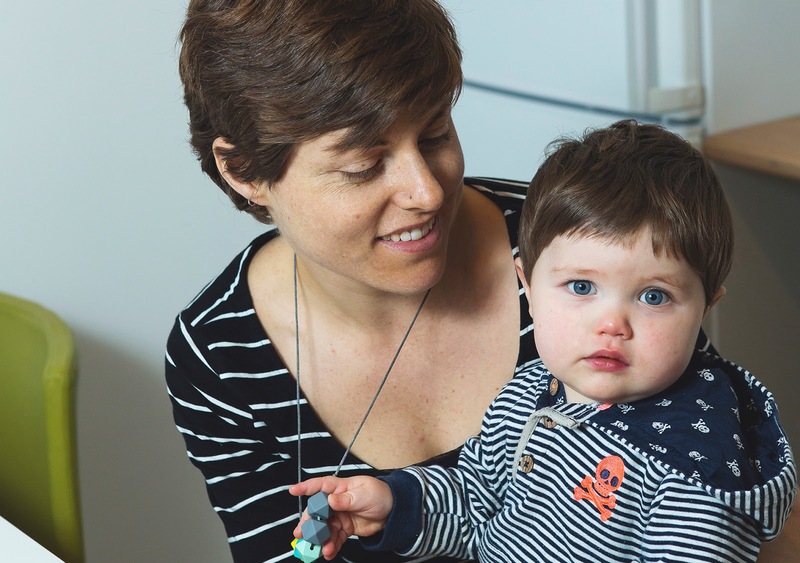 Finally, when Lukas was six months old, we moved out of our old place – anyone who has had to pack up their life and put it into storage while caring for a baby will understand it’s a unique kind of stress. But we then had to do it all a second time when our builders had finished six weeks later. All the walls were bare plaster, there were no carpets and it was as dirty as you would expect a building site to be. Sixth months on, we still only have one room carpeted and two rooms decorated, and we continue to have moments of extreme frustration – getting anything done with a crawling/cruising baby who needs to nap regularly is a challenge. But it was definitely worth the hassle to get a home we plan to stay in, so I’d reassure anyone else who has similar ideas that you can do it!